The day starts with a Parade ! 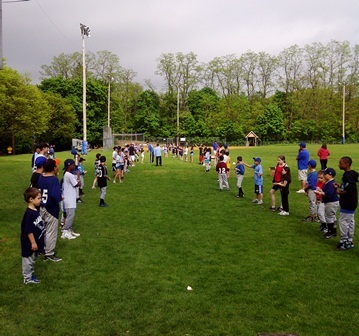 Our Mahwah Baseball Parade includes marchers from Teeball, Instructional, and PeeWee, and Minors teams. Starts at Betsy Ross and finishes at Commodore Perry field. K-4 Parents: The League / Your coach will be sending your team additional information. Parade begins at 9:30 a.m and walks to Commodore Perry Field. and ends around 10:30 a.m, but there are scheduled events. Your coach will be in contact. Parade Route: Parents and Fans should line the parade route which comes out of Betsy Ross, Makes a left onto Miller Rd, through the center of Town and then up E. Ramapo Avenue until it reaches Commodore Perry field. Morning Hot Dogs & Juice - doesn't get any better than that ! 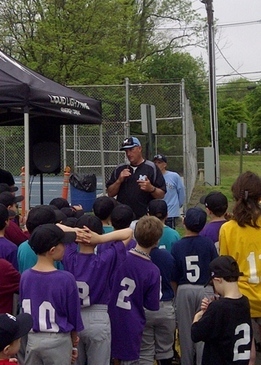 Mahwah Fan Merchandise for sale from Baseball and Softball teams.